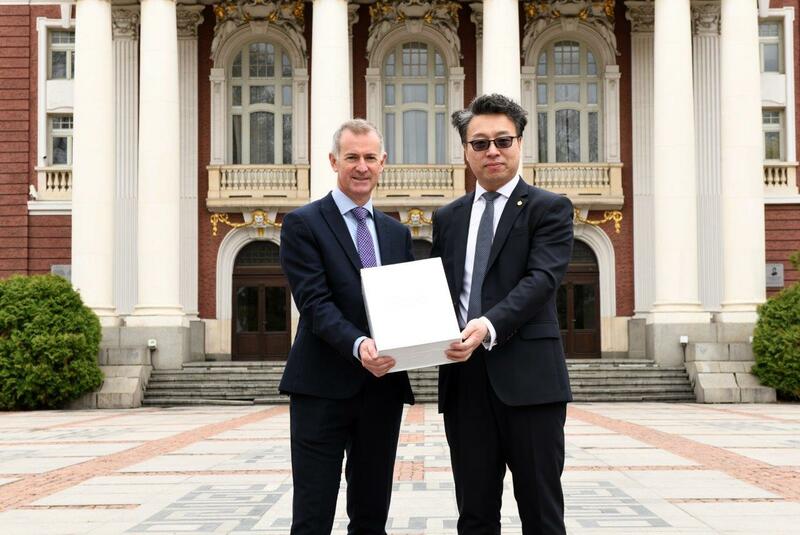 Tony Lavan of MAG and Yu Dongwen of BCEG in Sofia with the submission. The competitive concession process was started on 5th July by the Bulgarian Government, and Beijing Construction Engineering Group (BCEG) and Manchester Airports Group (MAG) had been expected to participate after announcing its intention at a press conference in Sofia in October 2018. MAG already operates three major airports in the UK at Manchester, London Stansted and East Midlands and provides services to six airports in the United States. Its UK airports serve over 60 million passengers per year, to over 270 destinations via 70 airlines. It is currently investing over £1.5bn (3.2bn BGN) in its airports in the UK, while BCEG is currently building one of the largest aviation construction projects in the world: Beijing Daxing International Airport, which will be the world’s largest airport and recently completed its first test flights. BCEG has a strong track record of delivery in the aviation sector. To date, it has delivered over one million square metres of new terminal floorspace, 15 major cargo/technical hangers and hundreds of kilometres of runways, taxiways and aprons.